The hammering sound you hear is the pounding of keys since the midnight hour of November 1, 2015. It’s National Novel Writing Month: NANOWRIMO, or simply NANO. The goal is to write a novel of 50,000 words minimum during the next 30 days, and that’s a notable accomplishment for anyone with any semblance of a life. NANO sets a number of good habits. It practically disallows “pantsing,” for one thing. Most participants will spend October, at least, preparing an outline for their work. Personally, I can’t imagine writing any other way. There is plenty of opportunity in even an extensive outline for spontaneous creativity to occur. One must know where one is and where one is going, otherwise one does not journey, but wanders. There’s little enough time in life for purposeful work, much less meandering around the rim of an unfillable plot hole. The contest enforces writing discipline, and discipline is a good thing. Commitment is a wonderful virtue. The problem with a rigid allocation of time to given activity is the writer missing other, essential aspects of his or her life. Those moments are not only irreplaceable, but go into making writers who they are. In essence, one’s life is what fuels writing a worthwhile piece in the first place. When I was working on my first novel, The Anvil of the Craftsman, G. Gordon Kitty would come into the den and tap my leg to come sit with him on the Big Red Chair across from the fireplace. Those were special moments, but I often put him off for the sake of my word count. I didn’t know then it would be the last year of his life. Believe me when I say you don’t want to know how such a mistake feels. Writers generally are artists. Largely they are insecure, obsessed idealists waging a battle where they lead a contingent of How Things Should Be while surrounded by the dark host of How Things Are. Like hard work and commitment, passion and idealism are generally good things, depending on the validity of one’s perspective and values. But all of those virtues, left to grow unrestrained, promote obsession … and that is less than healthy. No one wants to hear the likelihood of one’s great effort going to waste, but no endeavor offers a better chance of just that than writing fiction. To have produced a solid novel is something of which one can and should be proud. Doing so can and has led to a great deal of acclaim and success, but those wonder stories are the experiences of outliers. So are the accounts of lottery winners, and both industries count on the Skinnerian appeal of intermittent reward aided by publicity. Don’t be afraid to dream, but accept that the world loves the taste of a really sweet one. In the end, I can’t help but think that NANO does more harm than good. It doesn’t matter if your novel reaches The End by November 30. It matters a great deal if it is a worthwhile project, if it adds satisfaction to your life in having produced the thing, and that it will stay with your readers as you and they go forward together. This where where the magic in writing is found, not in stress and deadlines and setting oneself up to fail through setting an artificial timeframe defining victory or defeat. The end product is the thing, and whether it arrives n November or December or next year matters not at all. These works will outlast us. I encourage you to give yours its due. It’s better to write well than quickly. It’s essential to let the work cool and return for second and subsequent drafts. It should be mandatory that it be edited by a set of eyes other than your own and proofread by a third party who has not been part of production prior to that point. But NANOWRIMO can be where all that starts. If you’ve prepared well and so choose, I wish you good luck. If you’ve attended your other duties, responsibilities, and all else life offers you first, you should be writing. 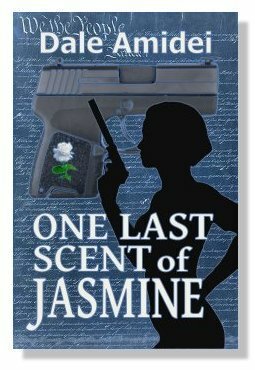 In production news, Boone’s third, One Last Scent of Jasmine, has passed midpoint in primary editing and remains on schedule to appear this winter. My first, The Anvil of the Craftsman, recently garnered five-star review No.100. If you’ve not had a look at the Revised and Expanded Edition, I hope you’ll take time to enjoy the Bonus Chapter. Anvil remains a free download where possible, and inexpensive as allowed everywhere else. This entry was posted in Uncategorized and tagged creativity, fiction, NANOWRIMO, National Novel Writing Month, pantsing, plotting, writing. Bookmark the permalink.